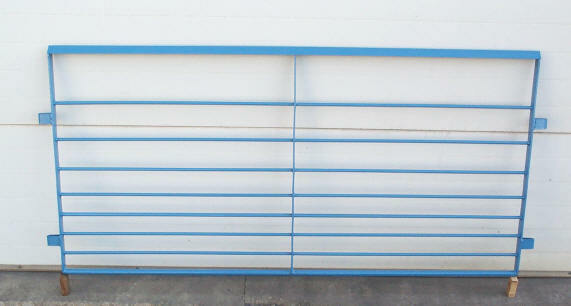 Seven 1/2 inch solid shaft horizontal rods make this an extremely durable isowean gate. 7/8 inch solid shaft on bottom rod for extra durability. 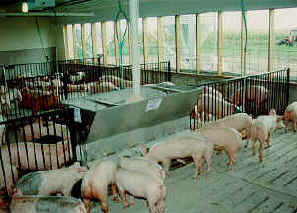 Economical design has pads and posts mount directly to the gates. No need to pay for separate corner posts. 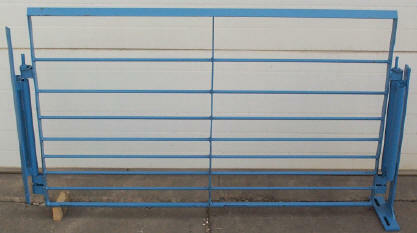 Top of each gate is constructed of 1-1/2" angle iron. Flat vertical bars are made of 1/4" x 1-1/2" flat iron. Optional post options. Also available for vertical gating. 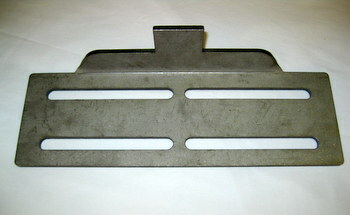 Optional stainles steel pad or stainless steel pad with steel post. 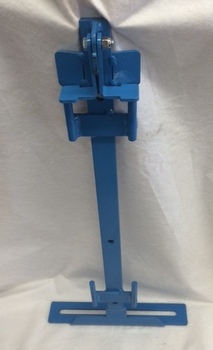 Solid verticals are constructed of 1/2" solid shaft on 3" centers creating a 2-1/2" opening. 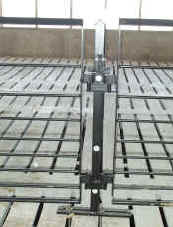 Adjustable end brackets for easy installation and management. Lag down posts. 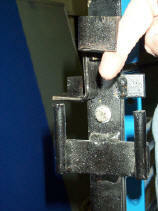 Swing gates latch with easy quick latch. 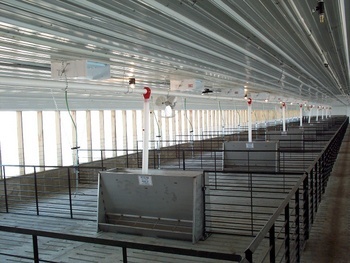 Simple latch system on both horizontal and vertical gating. Both quick latch systems may be operated with one hand and require no drop rods.